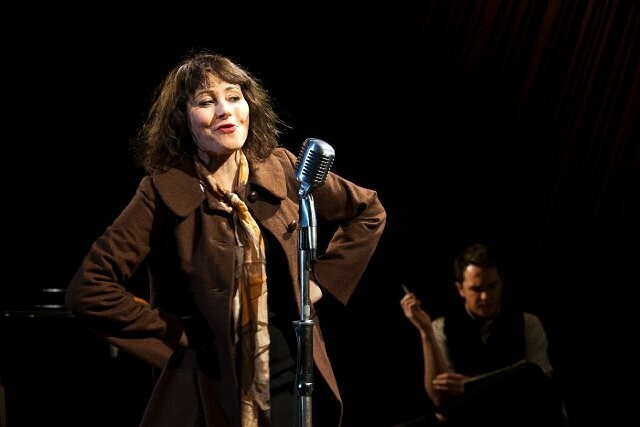 Telling the extraordinary story of French chanteuse Édith Gassion - better known as Piaf - Leicester Curve’s production of the eponymously-titled biographical drama enraptured audiences in March and April. Sound designer Ben Harrison chose a Yamaha CL3 for the production, which helped it to earn four star reviews in the national media. 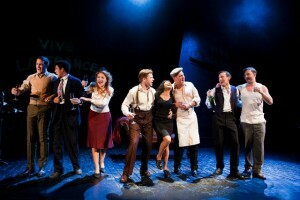 Starring Frances Ruffelle - renowned as a West End musical star, as well as other roles - the production was initially staged in the Curve’s Studio theatre. Such was its success that further performances were subsequently added in the larger main theatre. A long-time Yamaha user, it provided the perfect opportunity for Ben to design his first show on a CL series console. "I first used the PM1D on a theatre tour back in 2002 and have almost exclusively specified Yamaha consoles ever since - I currently have five PM1Ds and two PM5Ds out on national tours," he says. "I had been waiting for the right project to specify a CL console for and, when Piaf came up, it seemed ideal. "The design brief was that we were aiming to achieve something epic, almost filmlike in it's audio quality," he continues. "So, although it was staged in a comparatively small space, it needed to be dynamic and impressive. With its extensive onboard processing, the CL3 was a great solution to help me deliver what was needed." The nine-strong cast were all on radio mics and were complemented by a three-piece band comprising grand piano, percussion and an accordionist who was mobile on stage, so was also using wireless mic packs. "Most important was Piaf's microphone, from which the majority of her songs in the show would be delivered," say Ben. "It needed to fit with the show stylistically, but also be functional. We settled on a Shure 55 mounted on an original Atlas Hydraulic stand, with a wireless transmitter mounted in the base so it could be moved around during scene changes." A Rio 3224-D i/o unit handled the main inputs and outputs, while 16 channels of sound effects were input via a Yamaha MY16-AT ADAT interface. The focus of the audio production was obviously very much on Frances Ruffelle’s vocal, which the sonic purity of the CL3 ensured was free of any colouring. However, the console’s onboard processing played a crucial role in ensuring that dense nature of Piaf’s music never became oppressive. "I knew that getting the level and tonal quality that I was after out of the 55 was going to be a challenge, but the CL3’s dynamic EQ and compressors helped me deal with it perfectly," says Ben. "Overall the dynamic EQ and Premium Effects Rack helped me ensure that huge builds in energy and volume could be achieved, without the sound ever becoming overbearing or nasty." As well as the audio quality and flexibility, Ben also pronounced himself very happy with the console’s control surface. "As a freelance sound designer it's always difficult to put yourself out there and specify a console you've never used, particularly on a commercial show. But I was incredibly impressed with the CL3, I found it very intuitive and user friendly. The idea of fader banks being able to be used for different functions is very useful, particularly when you start looking at using it with a configuration of 16 DCAs," he says. "In addition, the management at Curve took a great deal of interest in its small footprint! I'm happy to say I wouldn't hesitate to specify one again."